Travel Oregon, a tourism agency that was created by the state government, released a video this week in an effort to boost tourism to the state. 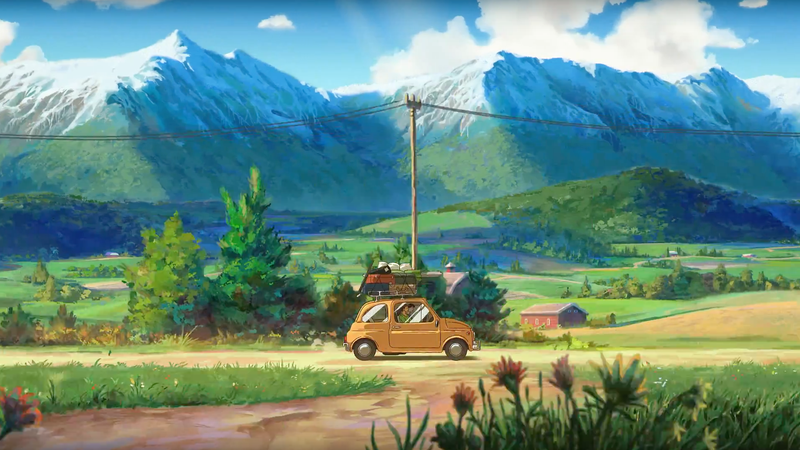 It’s completely animated and makes the state out to be a Studio Ghibli fantasy land. If I rent a Fiat 500 in Oregon, will I be able to drive it to the Castle of Cagliostro? My gut says yes. I kind of wanted to see Chihiro Ogino’s father’s Audi A4 from Spirited Away in the Oregon video—the way he crashed it through the forest was quite excellent. But we can’t have everything in the world. Anyway, now that that’s over, I’m going to go and watch all of Miyazaki’s movies over again. Bye.